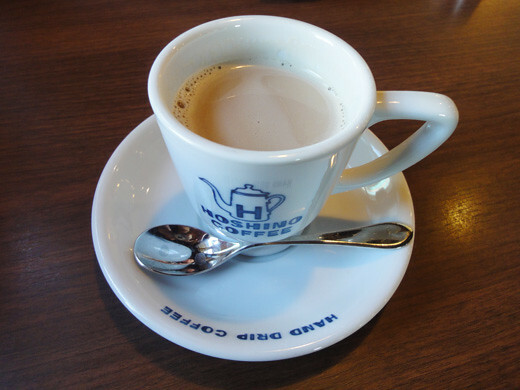 My friend and I went to a coffee shop, ‘Hoshino-coffee’ at warabi-shi, Saitama pref. where my friend lives. 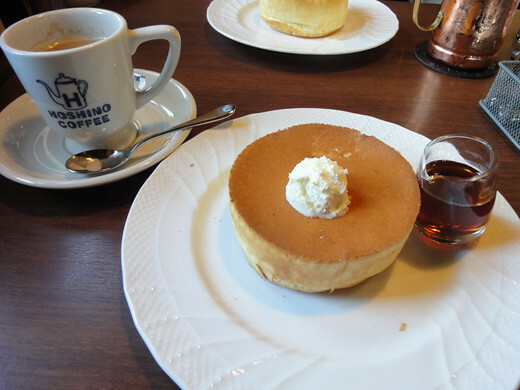 We had their wonderful souffle pancakes with maple syrup and hot cafe latte. 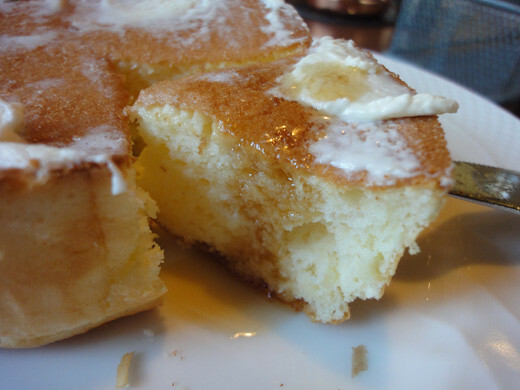 The thick and very soft souffle pancakes made us a big smile. I will try the double pancake next time. hi, that pancake looks sooo yummy, any chance they have store at shinjuku or roppoggi?